A Nova Scotia man whose son died after a cardiac arrest aims the public availability of life-saving defibrillators. In Nova Scotia, the emergency dispatchers cannot tell a caller where to find the nearest automated external defibrillator (AED). For David Fowlie, this needs to change. According to Fowlie, his son Michael was a picture of good health before he died in September 2014. He was only 28 years old when he went into cardiac arrest while cycling on Purcells Cove Road. It was a devastating event for anyone – losing their only child. He spent the last four years piecing together what occurred after his son collapsed. For most parents, they want to know what happened to their son or daughter during the last day of life. After 5-6 months, he wanted to ask some questions and that was where the roadblocks started. Fowlie has not given up on finding the answers, but over time, he found gaps in the system he believes could have saved the life of his son. According to Fowlie, if he collapsed right now, they will not direct you to get the nearest AED. The Emergency Health Services admits that it is the case, but claims it is working to change that. 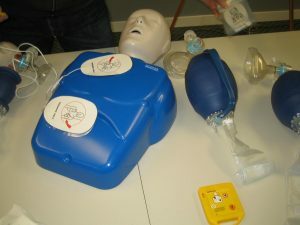 People should reach out and have the defibrillators registered according to Jeff Fraser, director of Operations for EHS. There are around 540 devices registered in Nova Scotia, but EHS believes there are 1,000 more in the province. If more AEDs are registered and the system is functional, a dispatcher can bring up a map and provide the locations of available devices within 1,200 feet of the incident to a caller. According to Fowlie, he wants to ensure that someone else is given every chance to survive a cardiac arrest, a chance he believes his son was not given.